(Each option includes all the supplies you need to complete a 10x10 Canvas painting within a 2-hour time slot). 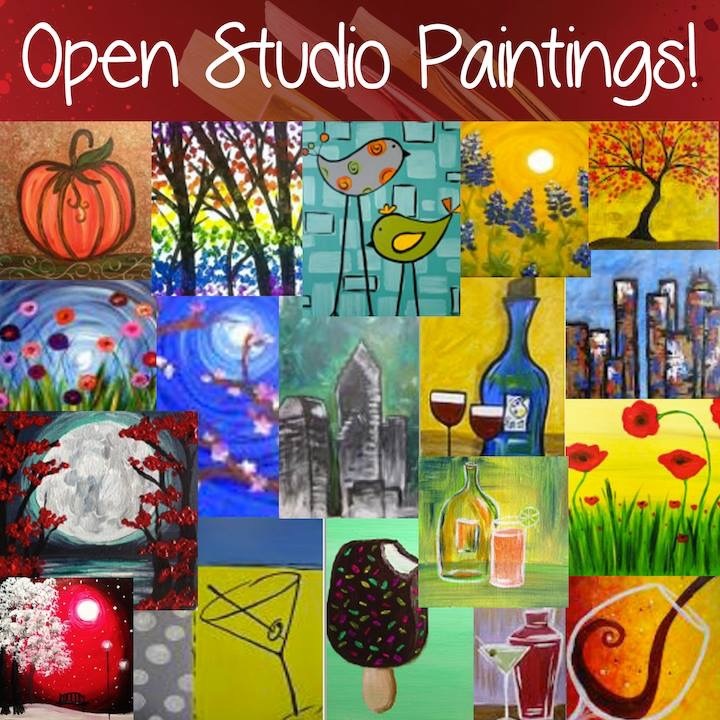 Select from our Open Studio painting selections; and then with the help of self-guided instructions complete your painting within any 2-hour time slot 1-6pm. Last seating at 4pm for 6pm completion. You may also choose any of the above options, but on a 20x16 canvas at $25. You can register for regular Open Studio online and pay for the upgrade when you are in the studio. Feel free to bring your own food, we have drinks and snacks for purchase at the bar too. See you soon. Pre-registration is preferred.